With digital marketing on the rise, social media has become one the most significant channels of advertising. We all know that social media is a great way of attracting visitors to a website. If used properly, it will help you increase your brand awareness and your overall online presence. Because social media is so widely used, almost all websites have on their homepages links to their social platforms. Web designers sensed this trend and started creating free social media icons, either as images or as CSS3 social media buttons. Attractive, clean and varied, these CSS3 social media buttons will help you grow your social media presence in no time! We selected below free 25 CSS3 social media buttons. Some of the items in this list also come with comprehensive tutorials you can follow and learn how to create CSS3 social media buttons yourself! Here they are! Download the sets you need! You can now easily create 3D Social Media Buttons using CSS3 so feel free to use these buttons in your projects and create new ones having the tutorial below as starting point. 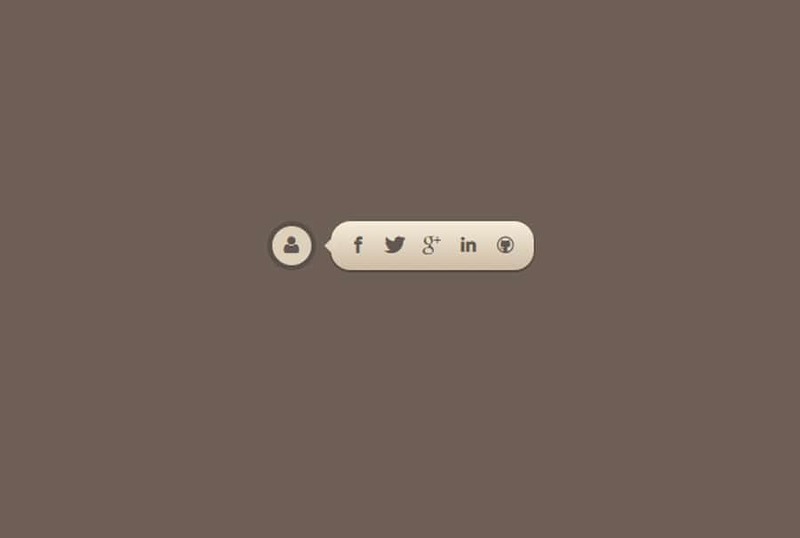 Here is a cool set of social media buttons that were created entirely with CSS3 and which you will love using in your projects. These will look great whether you view them at their native size, smaller than that, or if you zoom in. Pick the size you want to paste the code! Here’s a set of simple flat CSS3 social media icons. This set contains everything you need and the icons are suitable for almost any web design project. These icons are square-shaped and can be used for various types of social media websites. This is a great social subscribe widget that you can add to your sidebar. You can check out these share widget’s code in the link above. If you don’t want to clutter your website with tons of social media buttons, then this CSS3 social share button is the perfect choice for you! They’re squarish and they use flat design. In the link above you have the code which you can study and implement into your own design project. With Zocial you will get a bunch of free CSS3 social media buttons by using this free piece of code. These buttons come in many color variations. so you will definitely find the one you wanted for your project. Flat design is the hottest web design trend right now! Make your social media buttons flat as well, with just a few clicks! These buttons are free and they come in many color variations. Add this CSS3 code on your site and start using these buttons for your social media login page. Your projects will start looking modern and eye-catching with these flat social media buttons. If you’re not a big fan of flat buttons, such as the ones showcased above, you should try these subtle and classic 3D social media sign-in buttons. The HTML and CSS code is provided for you in the link to make sure to check both of them out, study them closely and implement them in your web projects. Whether you want round or square-shaped social media buttons, this CSS3 set has got you covered! This set contains plenty CSS social media buttons that you can use in your projects. They come in both grayscale and colored versions and they would look great in your project. Here’s another cool set of CSS3 social media buttons which you will surely want to add to your collection. You can use these blue social media buttons with just a few clicks. All you have to do is copy the codes on your site and upgrade your current social icons. The metro style is also on the rise. If your website follows this design trend, then your social media buttons should respect the same principles. Here is a great CSS3 social block you can add to your site’s sidebar. They’re modular, their background size is much bigger than usual and the icons are smaller in comparison. All in all, this is a really cool set of CSS social media boxes. These unique social media buttons have a 3D effect that you will instantly like and you will want to add them to your web project. Use them on your or your client’s website. Do you want to add a unique CSS3 effect to your social media buttons? If so, then you really have to check out these sliding, responsive, social media buttons that will look great on any device and browsers! They were made with pure CSS3 and they’re based on a flat design which is quite trendy nowadays. This set contains 15 social media icons that come with their own CSS slide effect. These icons are monochrome and they have a minimalist design. Their background turns orange as you hover your mouse over them. Here’s an awesome set of elegant, round social media icons you will love using in your web projects. This example includes 64 pixel perfect, completely editable vector icons, each surrounded by a 48 x 48 px square of the brand color. This is a unique concept for social share buttons. It both shows the links to your social media accounts it also shows the number of shares you have received on them. These buttons show the share count in a clean, minimalist way. Add the code to your site and start using these today. 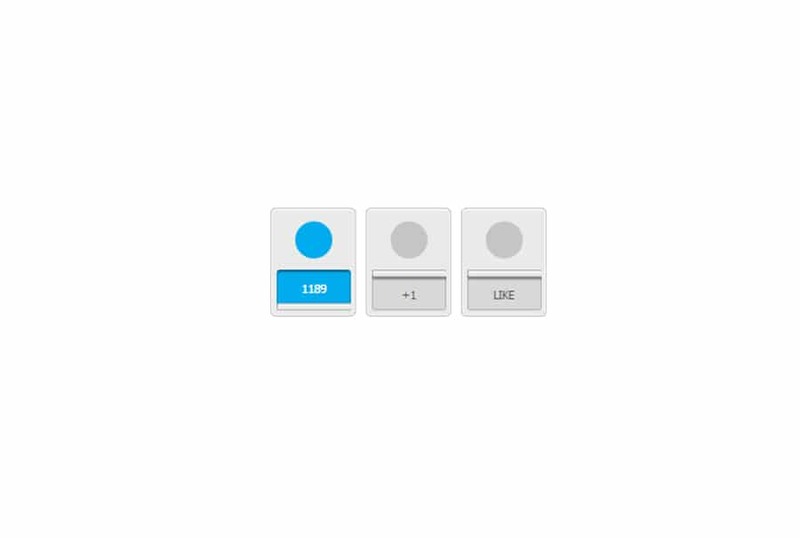 Here’s another set of flat social buttons made entirely with CSS3. These buttons are really eye-catching and they use a cool typeface. Facebook, Twitter, and G+ buttons are included in this set. Does your website have a natural, earth-toned color palette? If so, then you have to check out this example. This is a great social share tooltip you can use in your web projects. 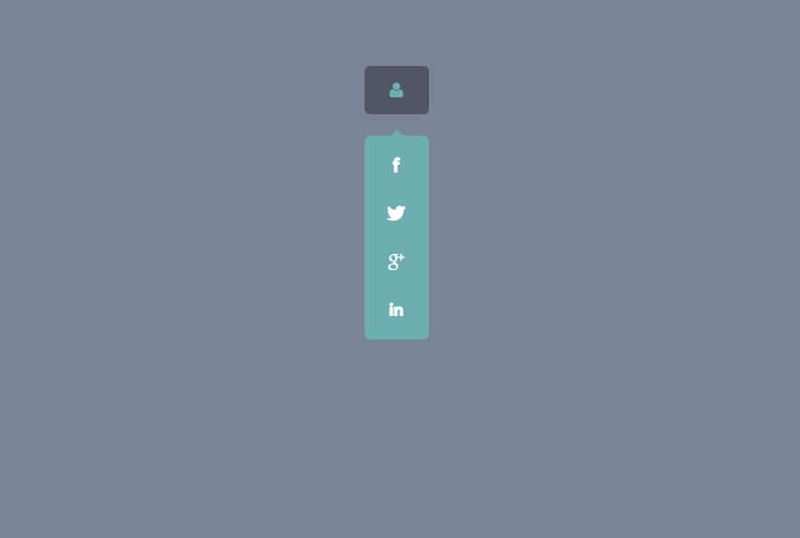 This is an awesome social share navigation made with CSS3. It has lovely colors as well. If you know a bit of CSS, you can easily customize it to fit your needs. Do not miss the chance to have these social share navigation in your collection. You can’t go any simpler than this when it comes to social sharing icons. If you will take a closer look at these icons, you will be surprised by their minimalism. They only show the color of the social media network and the number of shares. These are super-clean, basic and have a nice hover effect. These are some great horizontal social buttons you can add to your site. These buttons are nice. They use the social media icons and their own fonts. The social count is not included, but they have the icons added, as well as texts. Transparent social media icons are being used more and more each day and here’s a cool set full of them. They are simple, unobtrusive and effective and they promise to make your website look more compelling. 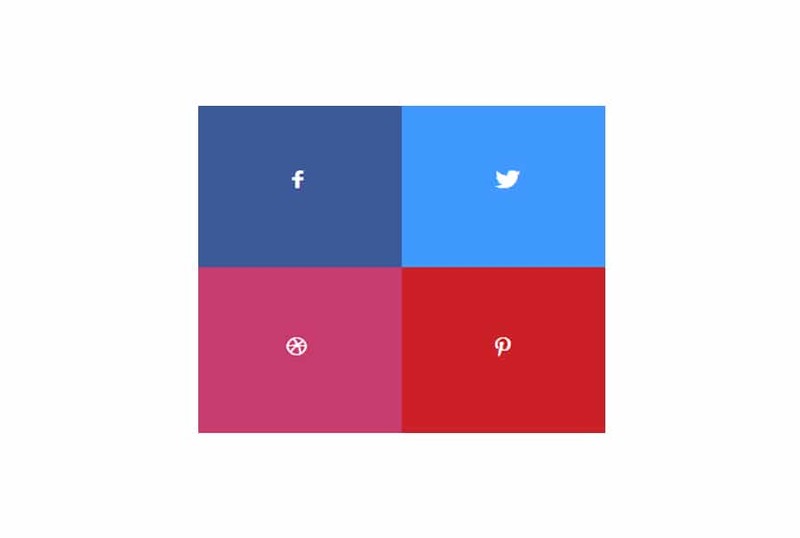 Here is a small set containing the most important social media icons, made with CSS3. This is another extra-minimalist social media icons set which you will love using. No words, no icons, just one letter and a representative color for each icon. These icons will look great on your site.